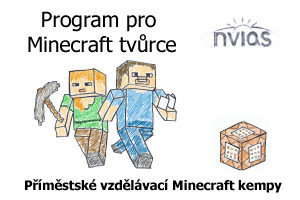 Turn the Minecraft gaming time into learning new technical skills, programming and build your own future factory. Electronic kits littleBits inspires you to experiment, creation and self-study. It’s the easiest way to become an inventor. Here is short substract – activities, plans and proposal for international cooperation. We want to provide every children and young guys who is technology enthusiasts the place where they can experiment with new technologies and learn by creating real and successful products and apps. Going with our activities into international level is important part of our vision (the kids need to learn how to cooperate in international environment). Are you fascinated by digital technology, IoT, programming, etc.? Do you have some skills you can share? Become a Mentor of our meetups and help us with our Products.